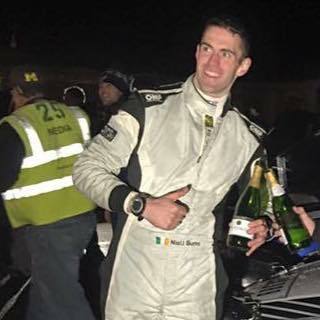 Irish rally co-driver extraordinaire and friend of the show Niall Burns wanted to give us Americans some insight into how he sees rallying in the USA as both a co-driver and as a rally fan. As it is Super-Bowl weekend, I feel it is only fitting to start this article with a field sport image. You have built the best stadium in the world and you have got the top players in the sport ready to do battle, yet all around there are empty seats and no media commentators to be found, why is this? We have all the fundamentals of an epic sporting event, why are the people not here? Was it not promoted enough? Do people fully understand how to get to the stadium or in our case the stages? This brings me nicely to Rally America and comments that have being raised after last weeks Sno*Drift Rally. I have been fortunate enough to compete in the Rally America National Championship since the end of 2014. In this time I have seen and participated in some of the best rallies the world has to offer. From the snow and ice of Sno*Drift; the flat out gravel roads of the 100 Acre Wood; the stunning Oregon Trail; to the flat out former WRC stages of the Olympus Rally. Then their’s the challenging STPR lanes; the max attack jumps on New England; the roller coaster roads of Ojibwe; and finally the extremely challenging roads of LSPR. All the characteristics and words you would relate to an ideal rally championship would you not agree? But why is the sport in a state of decline currently? Rally America offers drivers and fans a quite unique rally experience. Fans have a chance to witness Americas top drivers compete on the most challenging roads the States has to offer. Unfortunately this does require the fans to get programs from local stores or gas stations and drive out into the country to witness this action. You may say that sounds like hassle, I however relate it to a keen wildlife photographer taking pictures of a lion in its natural habitat as compared to a circus ring. If you want to see the best drivers on the best roads you need to travel to see it. Stadium based events may showcase some talent but it’s not a true reflection of what these crews and machines can do. Once you head out you will not be disappointed. The atmosphere among the fans in the forests is electric, you can almost feel it in the cars as you pass by. 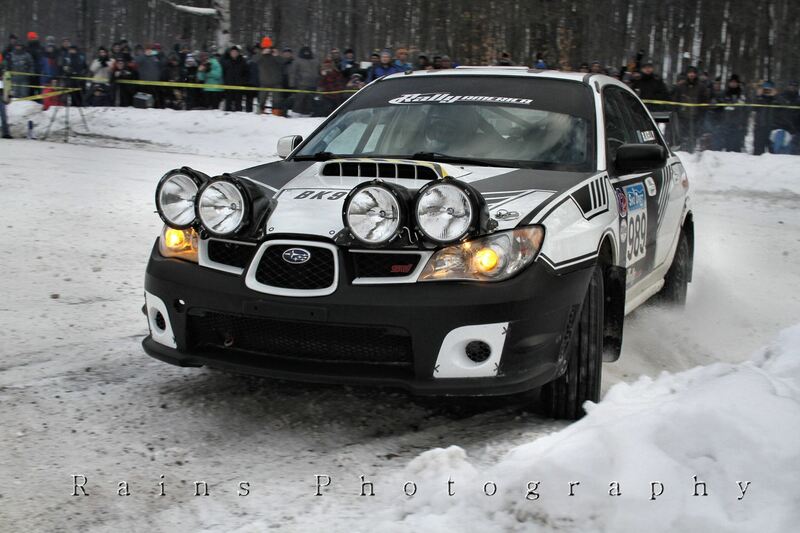 Let’s take last weekends Bonfire Alley stage of the Sno*Drift Rally as a perfect example. Anyone who has had the pleasure to spectate on this stage will no doubt agree it’s a unique experience which once again this great series can offer spectators. Not to mention fans were also greeted to a 6-10ths of a second victory by Piotr Fetela over Troy Miller and sportsmanship shown by a crew that was remarkable, but more about that later. From a drivers point of view, many may say “ oh Higgins is just going to come and win”, but let’s look at this another way. David Higgins is one of the worlds most accomplished rally drivers. His championship wins world wide are plentiful and Rally America drivers have a chance to compete alongside and fine tune their talents against this guy. When I was a kid I used to run a lot and one day I raced against a kid who had gotten a professional coach,a top pair of trainers from his club and there was me in old Reebok classics with running tips from a magazine. However I was not going to let this kid get to far away, I knew with him here I’d have to up my game and preparation to stand a chance of getting close to him. This sound familiar? In every sport theirs a benchmark. These are here to make you work and push harder, and make you put that extra bit of work into your car on the lead up to a rally. Make you focus more on the Jemba Notes during recce, and drive every stage to the best of your ability. 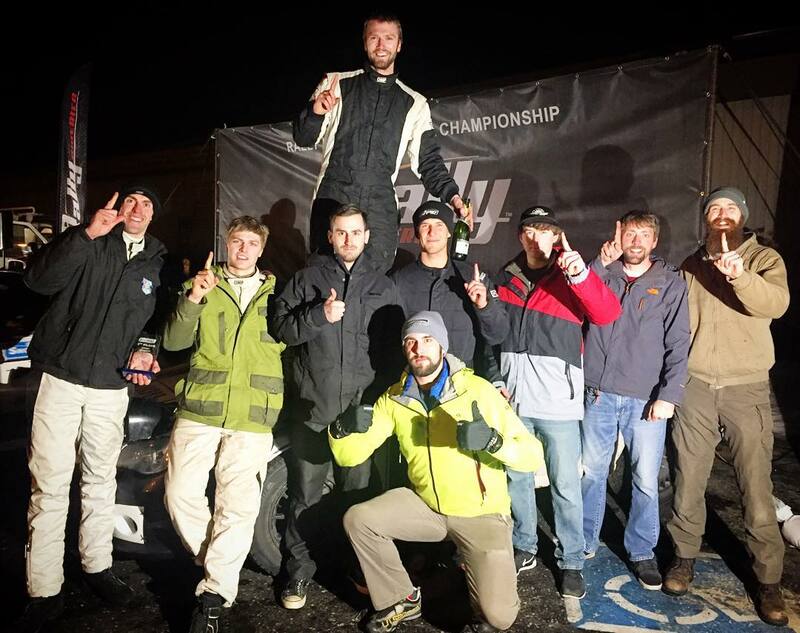 By David being in Rally America he’s already doing this for so many competitors without them even realizing it, which in turn makes it more exciting to watch as every crew is at the top of their game and pushing to the best of their abilities from the open class to the b specs. My next and final point is in relation to media coverage. I know this is an area I must be careful how I go about but as Steve Harrell once told me “I enjoy your bluntness Niall.” I’ll just say it as I see it on the topic. Rallying is a spectacular sport, the cars flat out over crests, cars going side ways on the left 4s which the co-driver forgot to mention tightens or the odd big crash. However unlike most other championships there’s more to spark media interest here as if that wasn’t enough. This series has sportsmanship and camaraderie among competitors like nowhere else I have experienced. Taking last weekends Sno*Drift as an example, Lauchlin O’Sullivan had a commanding lead over Troy Miller when he got caught out on the icy conditions. As Troy came on the scene he obviously realized he could take the lead, but what did he do? Troy didn’t just drive past. No he stopped to try and tow his fellow competitor out. Troy’s attempt however was in vain as the car was too badly stuck and when he reached the stage finish he had lost some ground over the new leader Piotr Fetela. This set up an epic last few stages which resulted in the closest Rally America victory in recent years, 6-10ths of a second. Rally America is full of stories like this, as the friendships and bonds between competitors here is so strong. “We are all here to compete but we’re also all there to help each other” is a fitting quote I heard from one competitor at the Hillman finish on Saturday. These types of stories along with the flat out action would have fans on the edge of their seats world wide either watching or reading about it. For this reason more needs to be done to promote this series as currently the world is being deprived of some fantastic rally stories and battles. I’m sure a lot of people were expecting me to say what should be done in regards to media coverage but hey I am a co driver. I call it as I see it on paper, highlight the dangers and pluses and hope my driver can steer it in the right direction. More education on what Rally America can offer is all that’s needed in my opinion. It’s truly the sleeping giant of the rally world and it’s time to awaken it and bring it back to its former glory and showcase it not only to America but to the world. 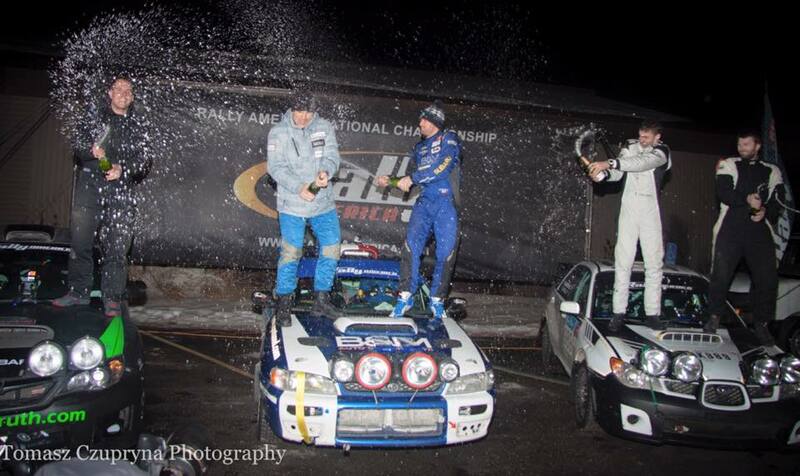 Massive thanks to Niall Burns for his views on rallying in the Rally America National Championship! He gets to see the stories first hand that many of us miss. 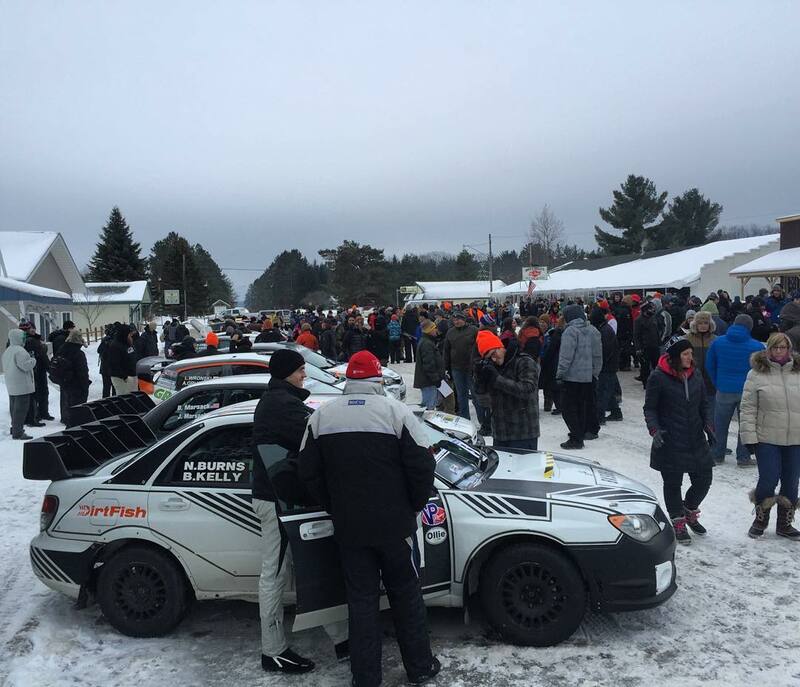 As I post this there is already a community on Facebook where Drivers, Teams, and Fans are sharing all the content they have from Sno*Drift Rally 2016. It may not all be professional grade media, but I encourage you all to take a look. Congratulations to Niall and Brenten Kelly for their 3rd place national finish and 1st place in the Drift Regional. 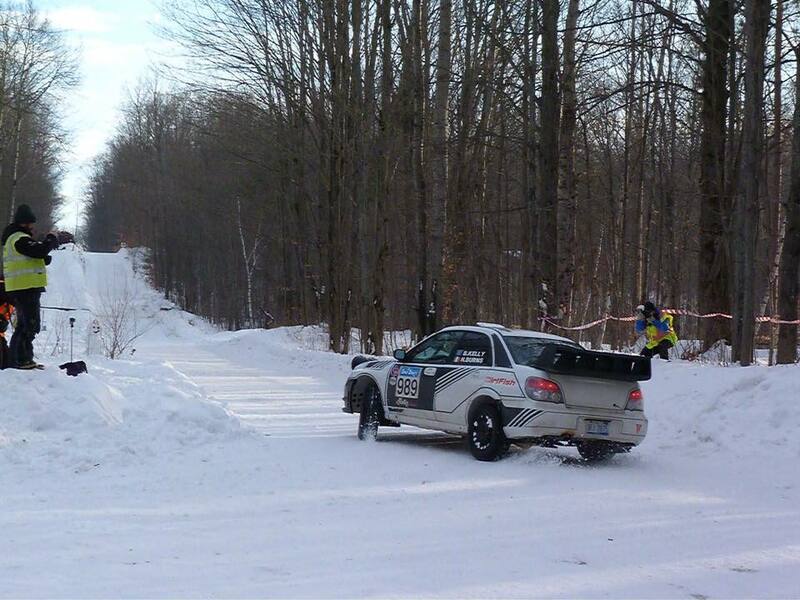 We hope to see you back on the stages for the Rally in the 100 Acre Wood!